The NGO-UNESCO Liaison Committee, in cooperation with our unit and the NGO department at UNESCO, developed a partnership agreement for the International Year that was sent on 30 July 1999 to all NGOs in association with UNESCO and that resulted in almost 100 partnerships to distribute the Manifesto 2000 and to develop flagship events and projects. A similar partnership was sent to NGOs associated with the United Nations in New York. The effectiveness of the agreements may be measured by the newsletter entries from more than 60 NGOs on the IYCP Website during the Year 2000 and an article in the NGO newsletter of Geneva as of September 2000. Most of the international NGO partners came together at a Conference 24-25 November 2000, convened by the NGO-UNESCO Liaison Committee in cooperation with our unit, to review the accomplishments of the Year and to plan for the Decade . A summary of the Conference proceedings is available on line. Our relations with the international civil society had been initiated at the Hague Appeal for Peace Conference of 9-15 May 1999. I had taken part in the preparatory meeting for this conference one year earlier in Geneva on 8-9 May 1998. Liselotte Andersen and Micheline Boulos accompanied me to the Conference and set up a booth where they made many contacts that would prove key for the global mobilization in the Year that followed, including, as described in our mission report, the Brahma Kumaris World Spiritual University that would ultimately be responsible for half of the 74 signatures on the Manifesto 2000. Later that year, Enzo Fazzino took part in a meeting with over 7,000 participants from hundreds of international NGOs in Seoul, Korea, from 10-16 October and I took part in a brainstorming at Soesterberg, Netherlands with representatives from a number of key organizations, including the International Peace Bureau, the International Fellowship of Reconciliation, the Quaker Peace Service, the Swedish Council of Churches, Pax Christi, Education International and the European Centre for Conflict Prevention. UNESCO's own networks of schools and clubs were mobilized for the Year. The Associated Schools Network (ASPnet) had been involved with the culture of peace since a mission that I took to their international meeting in September 1993, and the Director of ASPnet, Elizabeth Khawajkie, had been involved since 1993 when she was a member of the original culture of peace task force. For details on some of the ASPnet activities, see their Newsletter 14, available on-line. 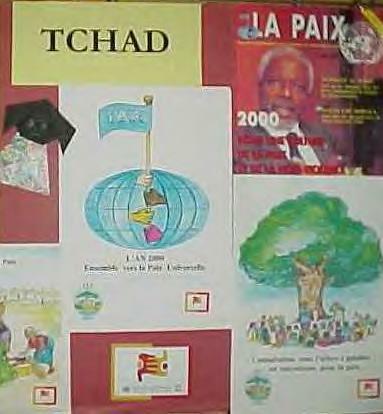 The UNESCO clubs, at their global meeting in Ekaterinburg, Russia, were also engaged, as described in an detailed mission report by CPNN staff-member Micheline Boulos in July 1999.